Trap is the oldest and most popular target shooting discipline. The sport is played the world over according to a wide variety of rules. Since 1996 double trap shooting made its first appearance at the Olympics. The K-80’s strengths are especially evident in this disciplines: its perfect adaptability to the technical demands of this sport and the personal wishes of ambitious shooters allows them to perform to the absolute best of their individual abilities. Keen concentration translates into hits that count. The barrel features a 12mm taper step rib, a 12-8mm tapered flat rib or a 10-6mm narrow tapered rib for improved pointing yet retained elevated profile that places the eye above the clutter at the breech end. Additional work in the muzzle area had given these barrels a much improved weight distribution. The introduction of the titanium series choke tubes provided another opportunity to loose weight right on the muzzle. These pure titanium chokes are 20% lighter than the original factory steel chokes yet are considerably longer. The extra length assists pattern quality, especially from high velocity loads, and provides a more convenient surface area for choke removal. To compliment these chokes we use a lighter than normal front hanger that save important grams right on the muzzle. We offer this in conventional blued steel or pure titanium. It should be noted that the titanium version is a full 5 grams lighter than even the skeleton steel version although for some the more conventional appearance of the steel hanger is preferred. The Trap, as standard, is fitted with an adjustable comb stock to allow the owner to fine tune the gun fit. 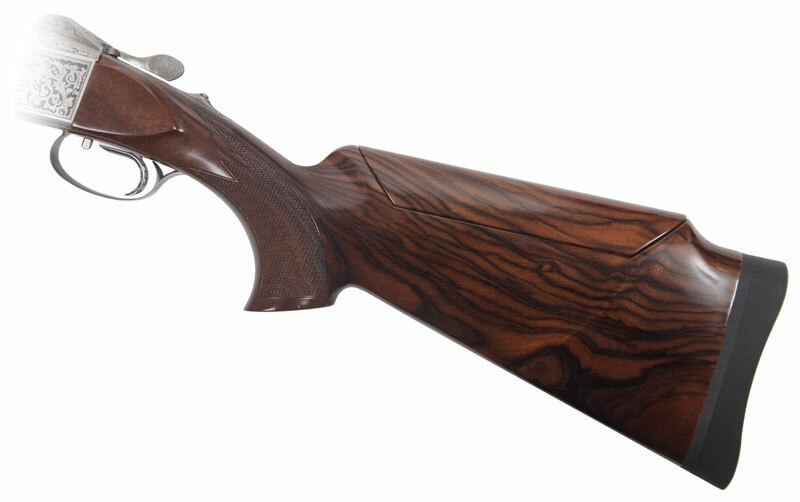 The Trap stock comes in a choice of Right or Left Hand configuration in Grades Standard to Custom 1 upon ordering. The stock was redesigned with a rounded grip to condense your hand and promote a tighter grip. The forearm has also been redesigned and made slimmer, this brings the hand closer to the barrel and gives you a better feel for the movement of the gun. 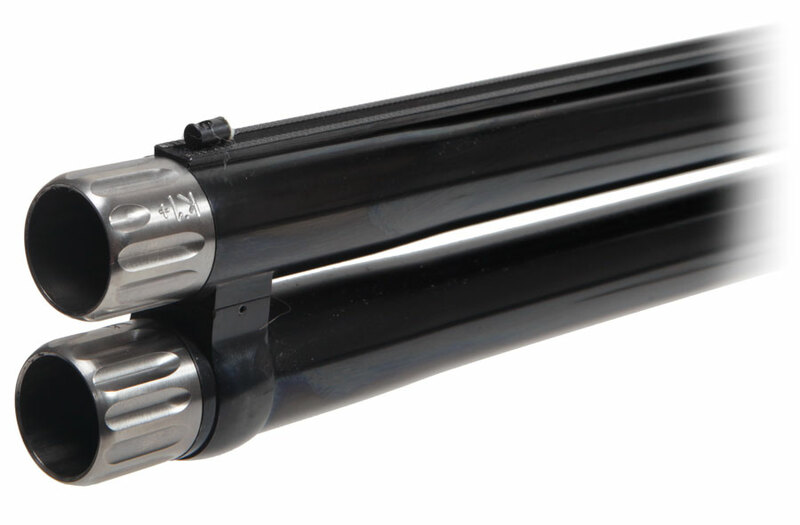 K-80 Trap Barrels are available in 30" (1,633g) and 32" (1,675g), both with Screw In Chokes only. Length of Pull (Center) 378mm / 14 7/8"
Length of Pull (Heel) 384mm / 15 1/8"
Length of Pull (Toe) 391mm / 15 3/8"
Length of Grip 100mm / 3.93"
Drop at Nose 40mm / 1.57"
Drop at Monte Carlo 54mm / 2.13"
Drop at Heel 40mm / 1.57"
Cast at Heel 5mm / 0.20"
Cast at Toe 6mm / 0.24"